Uh yes, I think my heart skipped a beat when I saw these. They are beautiful, love the edging and yes, I’m very jealous. 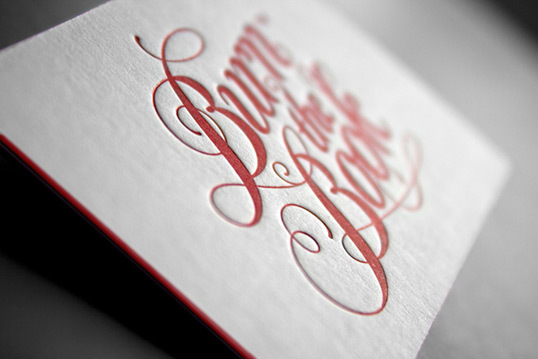 They were obviously impressed with them, nothing better than a good bit of flattery copying of a fontstyle! 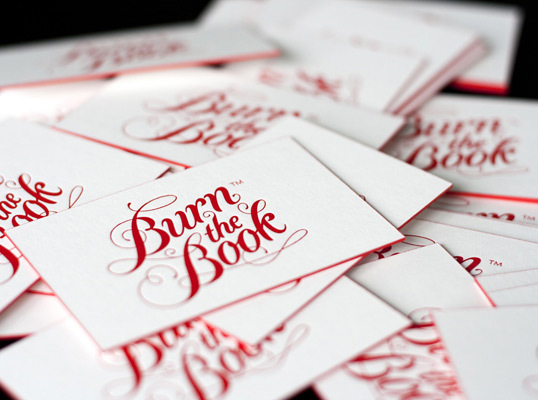 I like Burn the Book’s card a little more, the typography on the front seems to be centered and fit better on the front where the photographers card seems like its about to run off the card. 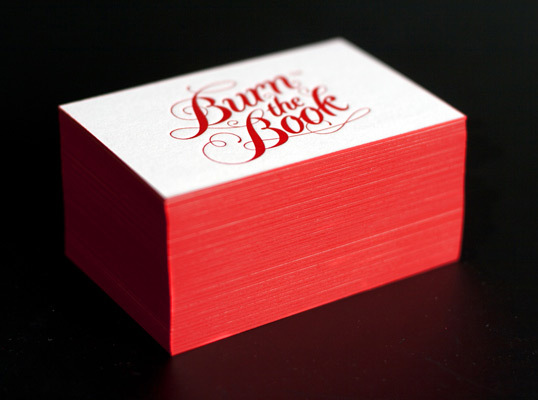 Love the red colour and font. 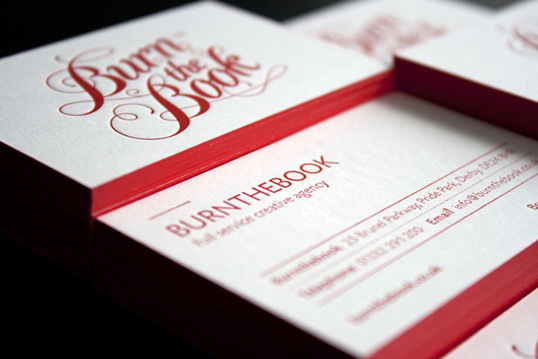 Are you able to tell me the name of Pantone colour used and a font face?